As the Candidates tournament rolls along, the action doesn’t stop in major tournaments around the World. This week I have news and action from two completed events, The Reykjavik Open and the Saint Louis Spring Internationals. 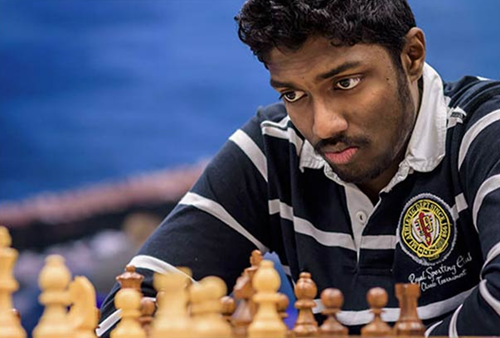 Baskaran Adhiban got off to a slow start with draws against lower-rated players in rounds one and three, but then reeled off five wins in a row en route to 7.5/9 and clear first place. The key victory came—as it so often does—in the penultimate round, against the top seed, Richard Rapport. Reykjavik has long been a popular destination for American chessplayers. It’s easy to get there inexpensively, with good conditions and no language barrier. Adhiban had to claw his way through some of those players, including Alejandro Ramirez, who finished along with a few other Americans, in a giant tie for fourth place at 6.5 points. Ramirez’s unusual novelty in the Benko Gambit came up short in the face of Adhiban’s forceful and accurate play. Frenchman Maxime Lagarde and Mustafa Yilmaz were the only players to make it to 7 points. Lagarde was the only player on 6 points to be able to win the last round, but his victim had a nice consolation prize. 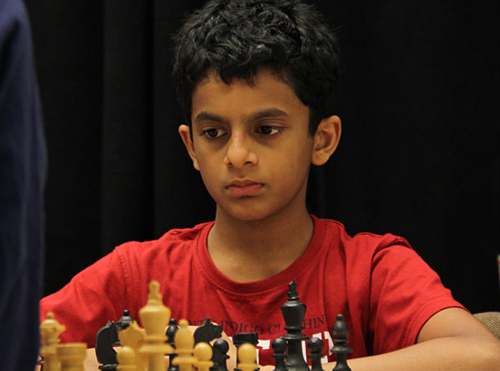 Nihal Sarin had already scored enough for a grandmaster norm, his second at only age 13! Nihal seems to specialize in technical play, one of those aspects of contemporary chess that would have been unthinkable in previous generations. Let’s see how he comfortably churned out a win in a knight endgame against a considerably higher-rated grandmaster. Spring International A in St. Louis provided a nice bounce back for Jeffery Xiong. 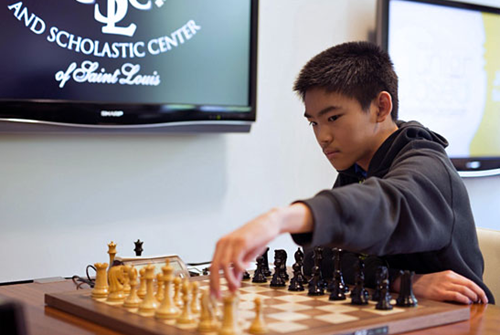 Jeffery is a former World Junior Champion and a grandmaster since 2015. After the last Olympiad, several grandmaster pundits opined that the US team would soon be strengthened by the imminent inclusion of Xiong on the next team. But since then he slipped a bit and has had some trouble getting to the next level. But his first place in St. Louis is a step back in the right direction. His score of 6.5/9 is pretty modest for first place, but he still finished a point and a half clear of a very balanced field. Jeffery did most of his damage with Black. The following win over Indian GM Ganguly shows patient counterpunching can really pay dividends at the grandmaster level. It was a different story in the B International, where experience and wisdom were able to triumph over young talent. 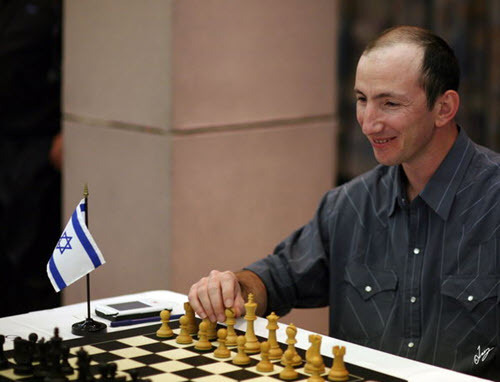 45-year-old Viktor Mikhalevski of Israel posted a big score of 7-2, a whole point clear of Anatoly Gorovets. Mikhalevski is more than three times as old as one of his victims, 14-year-old Awonder Liang! I’d like to have a look at Mikhalevski’s game with 19-year-old Turkish grandmaster Ali Marandi. The young Turk should have looked before he leaped, as his material grab backfired terribly on him. The European Individual Championship has also started up, so next week I’m sure I will have some good stuff from Batumi, Georgia…which technically is not in Europe.